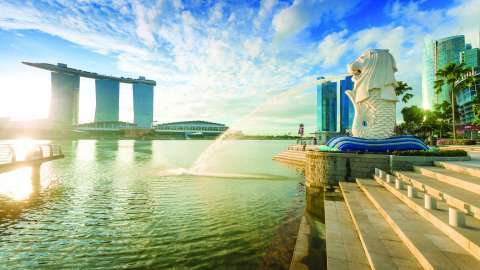 Want to change the scenery during your stay in Singapore? Take a break and visit these beautiful and picturesque islands without the horrific queues at the airport and the long hours of travel. A number of places outside the city that are perfect for relaxing and refueling, away from the stress of the city. These places are perfect for people who are not looking for a long vacation but need a good experience sunbathing at the beach or hiking in the jungle. Singapore is a big island city from where you can make interesting short trips. So, if you do not want to miss the full enjoyment that this city has to offer, be sure to also cover this trip during your next Holiday to Singapore. A small family getaway to Singapore, Bintan is only 50 minutes by ferry from the Tanah Merah Ferry Terminal. This beach is an excellent source of entertainment for the hustle and bustle of the city. Bowling, horse riding and elephants are just some of the fun activities on offer here. One can also book various ecological circuits showing the beauty of the nature present on this amazing island. Parasailing and water sports are some recreational activities here. This place has a great mix of culture that consists of Malay, Chinese, Bugis and Orang Laut (sea people). Indonesian Bahasa is spoken by Malaysian visitors, a version of Malay. Although popular for golf, there are many sports activities offered by the resorts, including banana boat rides, kayaks and kites. "An Indonesian paradise" is the description given in Bali. This place is a very popular getaway destination. Also known as the "artistic capital" of Ubud, this place offers amazing white sand beaches that contrast with the clear blue waters. A three-hour trip is all you need from Singapore to reach this paradise and spend an amazing weekend. Stunning natural landscapes leading to exotic temples are one of the main attractions of this place. 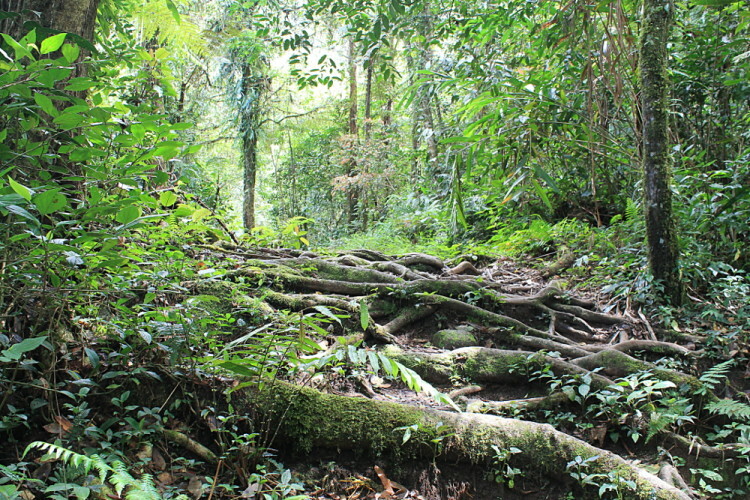 Volcanoes and jungle are also part of this ideal vacation spot. The people of Bali are more tolerant than those on the Indonesian mainland. Balinese is spoken here, but in tourist areas, many foreign languages, including English, are spoken. A nine-hour bus ride can seem exhausting, but it's well worth the fantastic place to experience the coldest weather without traveling to the other side of the world. This place is very popular for strawberries and it also has huge tea plantations which is a great place for the family. Pretty little cars around the mountains of Cameron sell delicious hamburgers that lick your fingers. It's your perfect 3-day trip from Singapore, if you're looking for more than a weekend getaway. Your love of flora should draw you into this breathtaking lavender garden that offers a wide assortment of lavender-based products and highlights the medicinal and therapeutic uses of lavender. Attractions in Cameron Highland include the Mossy Forest, Parit Waterfall, Robinson Waterfall, Tunnel Under Time, Local Museum and Butterfly Garden. A two hour ride and you reach your vacation spot! One of the best short stays from Singapore. Many activities are offered on this island, including kayaking, hiking, climbing and many interesting activities that will make your weekend a memorable one. 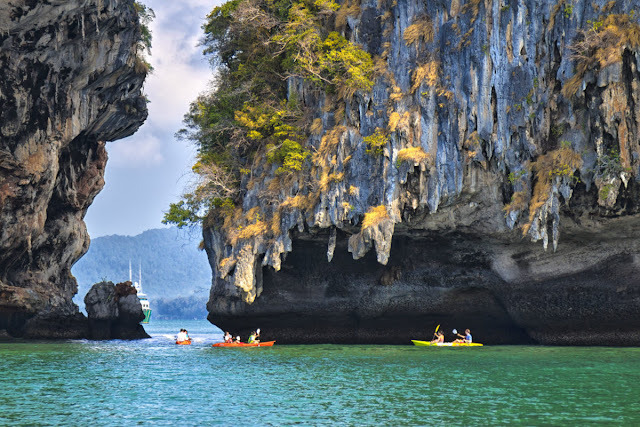 You can also visit beaches like Ko Hong, Ko Poda and Ko Gai or kayak in the Andaman Sea. This place is an ideal vacation spot for all types of people, whether it's an adrenaline rush or a beach enthusiast. Everyone has a good time on this tourist and friendly island. Railay is a nirvana for climbers while Ko Lanta is a gathering place for aspirants. This place has something for everyone. 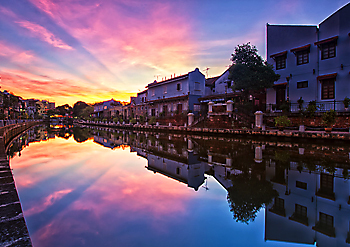 If you want to make a short stay out of Singapore, Malacca is the perfect place. This charming and peaceful place is a few hours drive from the border. A total change of scenery is exactly what this place offers visitors. The historic lanes that are picturesque and beautiful have hundreds of shops and stalls that weave through which adds a lot to the beauty of this place. Those planning a short stay out of Singapore with family or couples would love this beautiful city. The tea houses that show you the "appropriate" way to drink tea and the house turned into a museum that presents the culture of this place are some of the attractions of this island. Antiques and good food are also qualities that add to the qualities of this island. Tandoori chicken and curry assortments are a must during your visit to Malacca. Popular visitor attractions include the Christ Church, the Dutch Square, the Malaysian Navy Museum, Cheng Hoon Teng Temple and the Baba and Nyonya Peranakan Museum. If all you need is a good weekend getaway where you will keep unforgettable memories, these islands close to Singapore are amazing options to consider. There are places to crash, be it introverts or extroverts or adventure buffs or walkers. These islands offer you the type of weekend you need after a long week of stress. So, do not waste any more time, plan a trip to Singapore Family Package and go from island to island.